Our Eggmobile is finally complete! The Eggmobile was invented by Joel Salatin from Polyface Farm to move chickens around the pasture behind cattle in the pasture rotation. 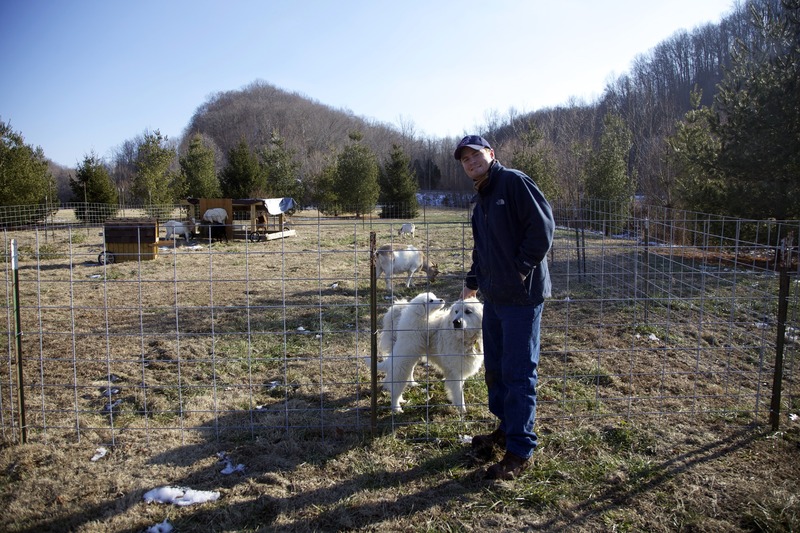 The cattle (or sheep, goats, etc) consume the grass, leaving it short for the chickens. The ruminants are moved along and then, just like in nature, the birds follow behind the grazing animals. The chickens visit a section of pasture 3 days after the ruminants do because if you wait 4 days then the fly larvae that are laid in the fresh manure have already become flies. On day 3 the larvae are nice and plump, so the chickens destroy the cow patties looking for the larvae. This helps in 2 ways: first, it spreads the manure piles (read: fertility) around and second, it keeps bothersome fly populations low. As a side benefit the farmer can collect and sell tasty eggs from his pasture sanitation program rather than paying money to purchase insecticidal sprays and fly medications. My dad won the naming contest before we even announced it, and our new Eggmobile is called the Yolkswagon. We’ll have to put a logo on it or something. Maybe one of our summer interns will be artistically adept (more on them later). The Yolkswagon is 8′ wide and 24′ long and will accommodate up to 250 chickens at night. 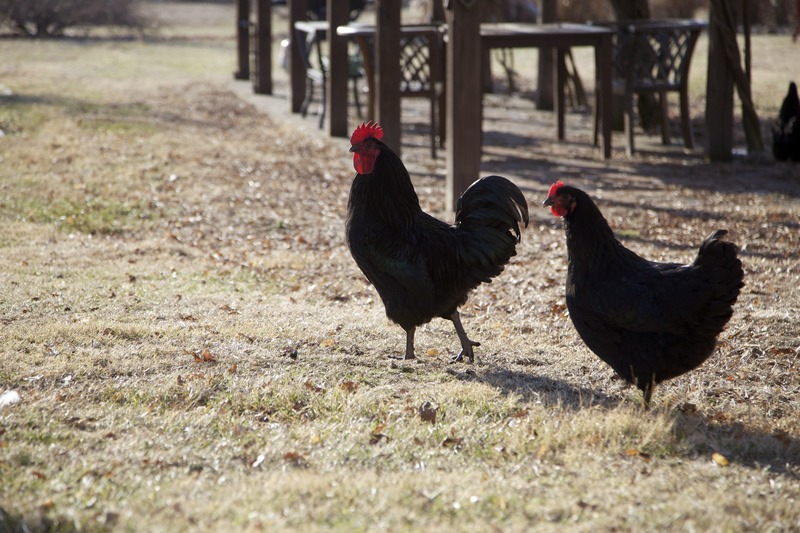 During the day, of course, the chickens will be out foraging in the pasture. Like everything else so far, we built this on the cheap using mostly things we had lying around the farm. The bottom frame is 2″ x 3″ steel tubing that the previous owners left us. The steel tubes are bolted together to form a homemade trailer. Over this framework we attached a layer of 2″ x 4″ wire fencing. Then we put a layer of chicken wire over that to form a floor that the chickens can walk on but that will also allow their droppings to fall through to the pasture below. We used some lumber left in the barn to frame out a basic box on top of the steel framework. There are some diagonal braces for extra support. Plywood is attached to the framework to form the sides. The roof is a white PVC product that will keep the rain out and let the light in. The Yolkswagon has 4 doors cut into the plywood sides. One door is large and on the front panel. This door is for the humans to access the Yolkswagon to add feed and water as well as for cleaning purposes, when necessary. There is a door on the rear panel for the chickens to come and go. And there is one door on each side to allow us to access the nestboxes daily to collect the eggs. We put the chickens up in the Yolkswagon for the night so they could begin to get used to their new digs. Then we started to tow the Eggmobile to the back forty because we wanted them to be far away from their normal area so they couldn’t wander back. 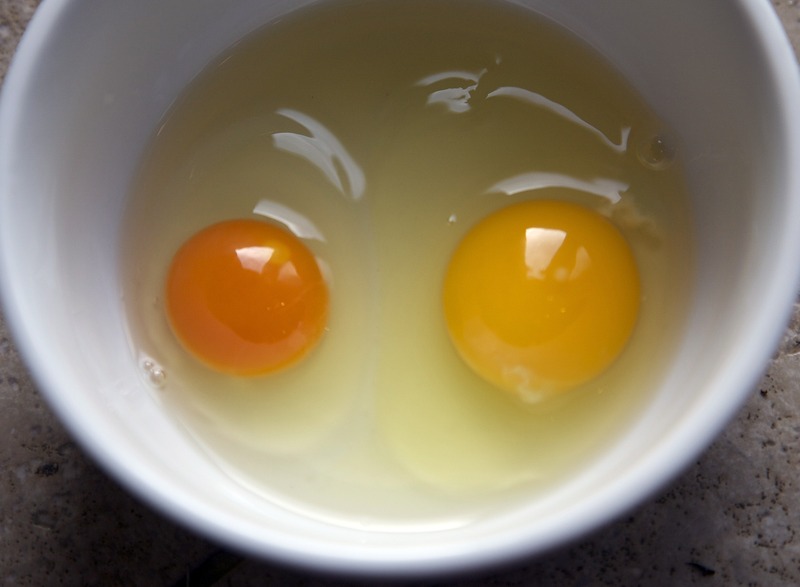 We want the Yolkswagon to be their home, not the poultry house, the backyard, or the gardens. This is when we found out about my construction mistake. I had put 13″ flat-free wheelbarrow tires on the trailer. This was not smart. I should have gone with the larger tires and an axle, but I was trying to do this cheaply and I thought that pulling the trailer around the pasture at a couple miles per hour a hundred feet at a time would be fine on those smaller tires. I kept testing the Yolkswagon out as we worked on it by hooking it up to the truck and pulling it around a little, and everything worked fine. But when we had loaded the chickens up and were moving the Yolkswagon to the back pasture the 13″ tire came right off its wheel. Luckily Lindsey has some things that she has to go to E-town to get tomorrow, so I know what I’m adding to the list: larger tires! Oh well. The wheels will be back on the wagon tomorrow! We get to live here! Every day I wake up thankful that we get to live here. I’m thankful for the wonderful neighbors that we have. I’m thankful for the support Lindsey and I get from our families. I’m thankful that our families could come spend Thanksgiving with us. I'm thankful for turkey mohawks. 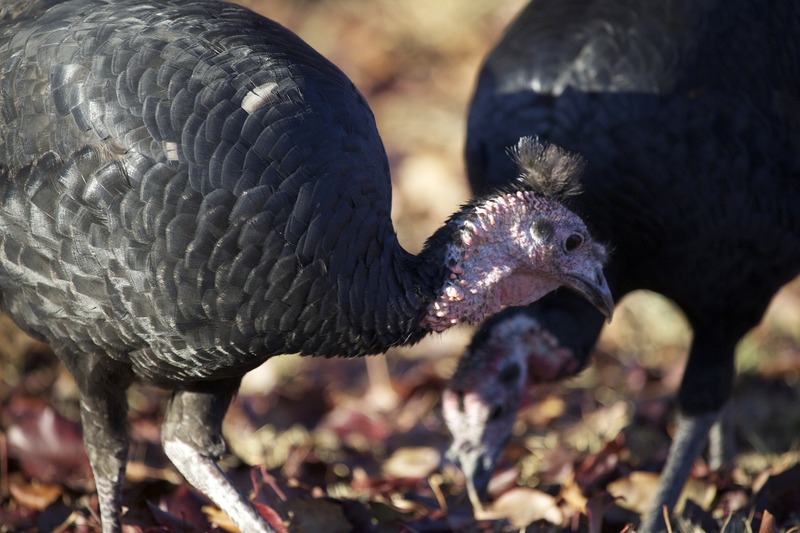 Not all turkeys can pull of a mohawk. You just gotta feel it. Lindsey and I have just celebrated 2 wonderful years together. The heritage turkeys turned out to taste wonderful. 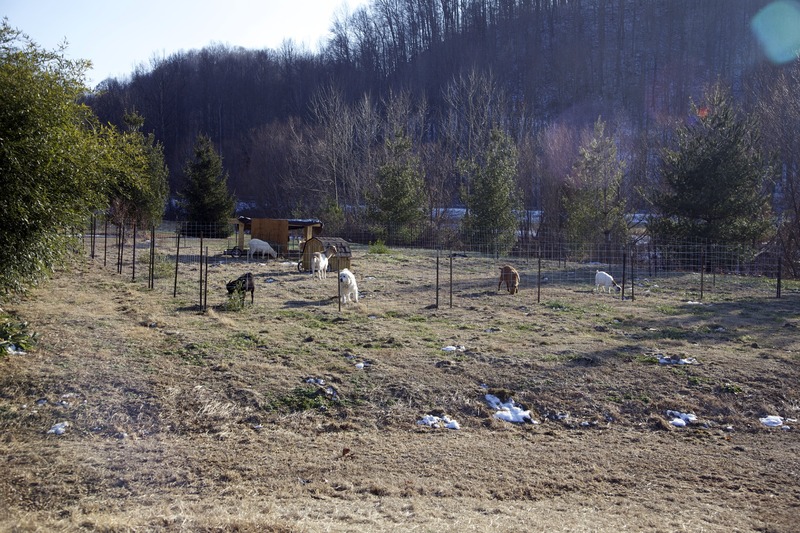 The goats humor us by staying behind a fence they are able to simply jump over. We’ve been able to learn a lot of skills quickly without making too many terrible mistakes. 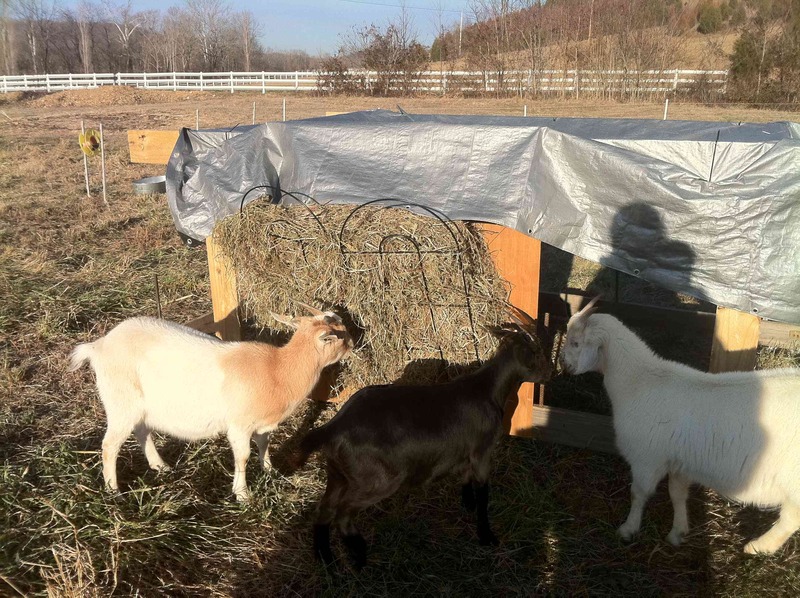 Randy, Ronnie, and Cody have made handy farm pre-interns. 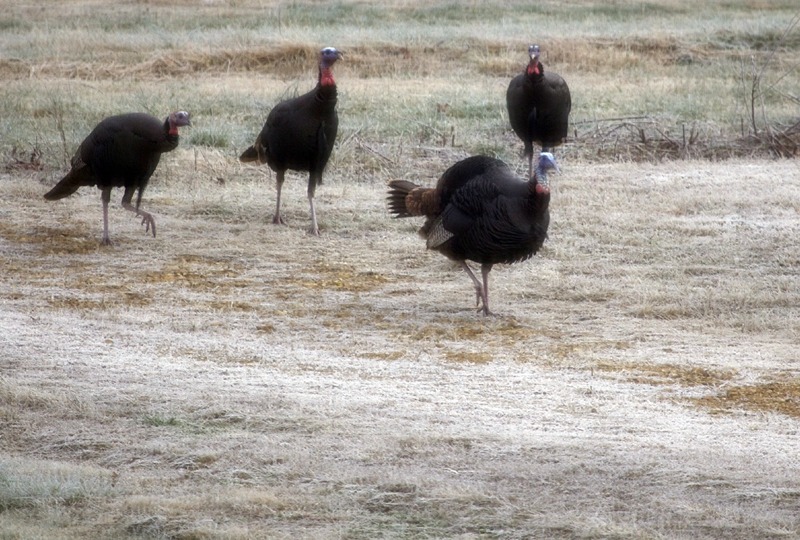 Wild turkeys take hikes past the back of our house. We’ve built a sturdy greenhouse and beaten back the jungle that had grown up around the property. We have gotten to share lots of fruit, veggies, nuts, and meat that we’ve produced here this year. The flood didn’t do the farm in. The drought didn’t do the farm in. The leaves have changed and fallen, and the first flurries of the year have drifted down to earth. We get a full calendar year to plan, produce, and share next year’s bounty. 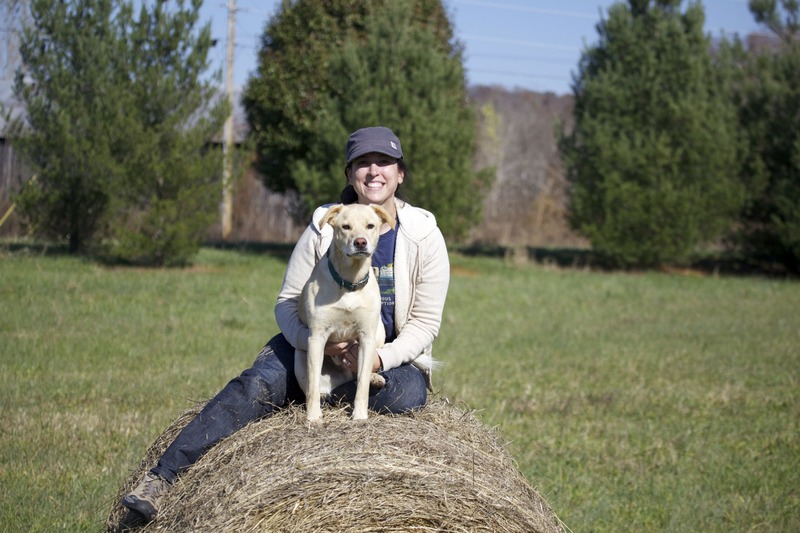 Lindsey and Scooter pose on a haybale. Adele practices for her haybale climbing race in Austin. She's just resting between sets of 15. Lindsey and I have gotten an influx of visitors lately. First our lovely friend Adele came in for a weekend from San Antonio. 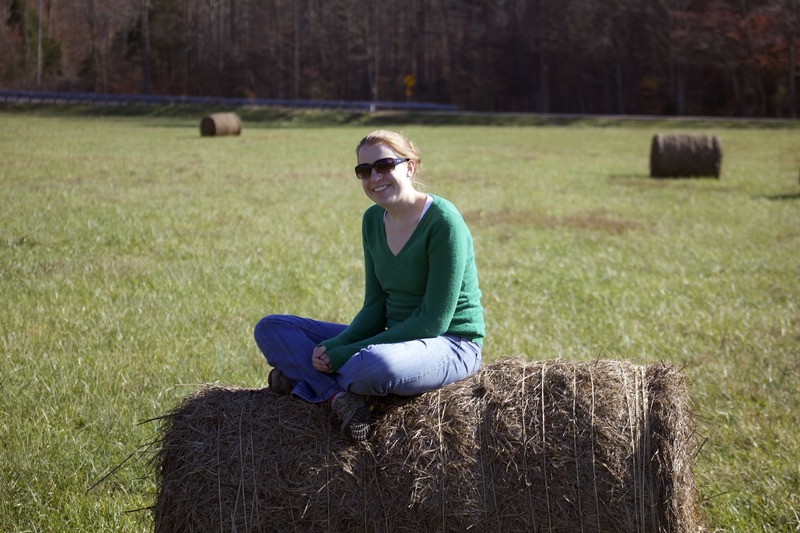 She got to climb some haybales, visit the animals, and sample some farm-fresh beyond-organic food. It was great to see her! 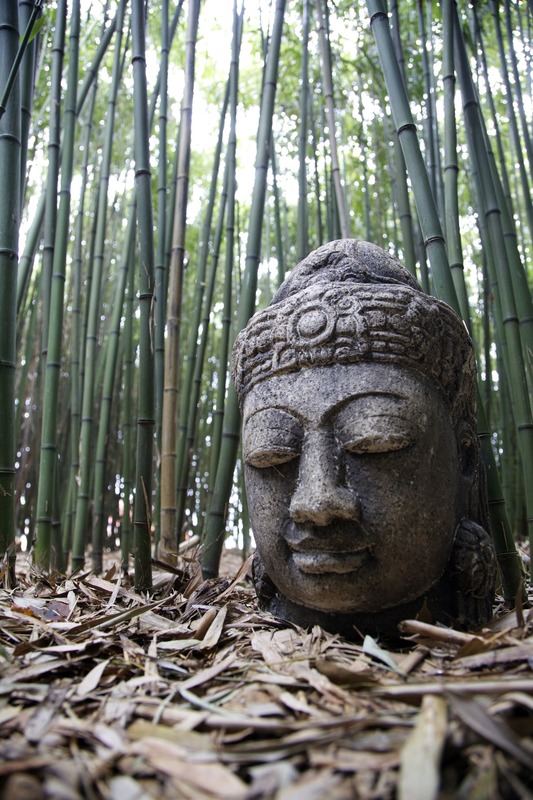 We cleaned up the bamboo and the other gardens to help impress our guests. Then Lindsey’s family came in from Houston and NYC. Ronnie, Jake, and Cody came to celebrate Thanksgiving with us the weekend before the holiday. Cody chased the goats and harvested the carrots and parsnips we roasted with the Thanksgiving turkey. He also took a turkey back to New York with him to share with his roommate. 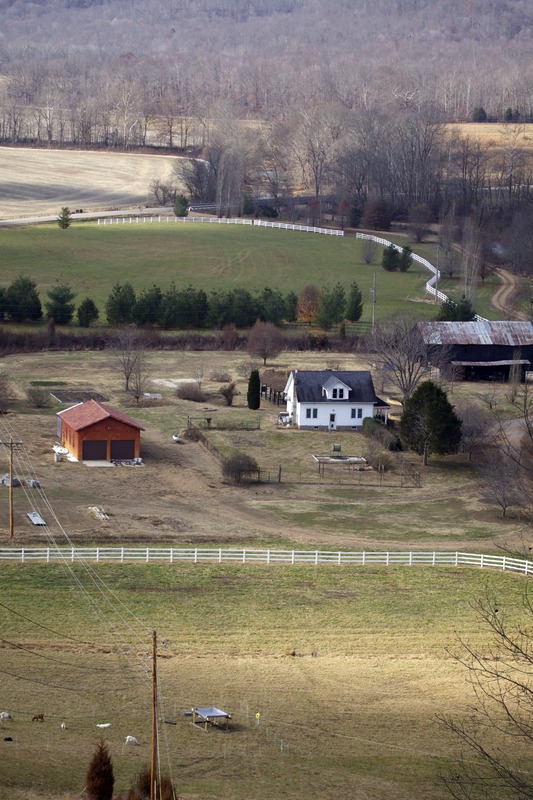 Jake and Ronnie did a little planning and investigation for the new house they are planning to build in nearby Campbellsville. Ronnie helped us take care of the chicks, rabbits, and goats. Finally, most of my family came in from Arkansas and Missouri. My parents, Randy and Pam, arrived on Wednesday while my brother Will and his new bride Keri got in late Friday night. We were all having a wonderful time showing them the farm for the first time, getting prepped for our Thanksgiving dinner scheduled for Saturday, and gearing up for the big Arkansas/LSU football game. Then, this farmer had to go ruin everything. Friday afternoon I didn’t feel so good. Saturday was worse. Lindsey ended up ferrying me over to the emergency room where I had an appendectomy soon after arrival. So no one got Thanksgiving dinner and no one got to watch the football game. I felt so bad after my family and come so far and Lindsey had planned so much. I know one can’t control appendicitis, but one can still feel bad about the impact the appendicitis had on others. The day after the operation everything was fine. The next few days everything was not fine. I developed a condition called ileus due to the gas inserted into my abdomen during the surgery. It simply kept building up and wouldn’t leave. Needless to say, very uncomfortable and worrisome. I was supposed to get out of the hospital on Sunday. I didn’t end up getting released until late Wednesday afternoon and I still didn’t feel great. Still don’t, unfortunately. Nothing is going through the system. So how does a sick farmer run a farm? Through all this, poor Will and Keri had to detour through Arkansas to take my mom back home so that she could return to work. My dad stayed on to help out and has been such a blessing to us. He’s done all the chores extremely well without very much help from us in terms of showing him how to do them. All the animals are doing great and he’s even invented a solution to make moving the portable goat shelter easier. He has done all of this despite having been laid up himself with shingles until only a few weeks ago. What a guy! Thank you Pop! So now some of the plans have experienced a slight delay. We’ll have to wait a month or so before I can do the heavy lifting required to get a couple Lifestyles Lane structures built. 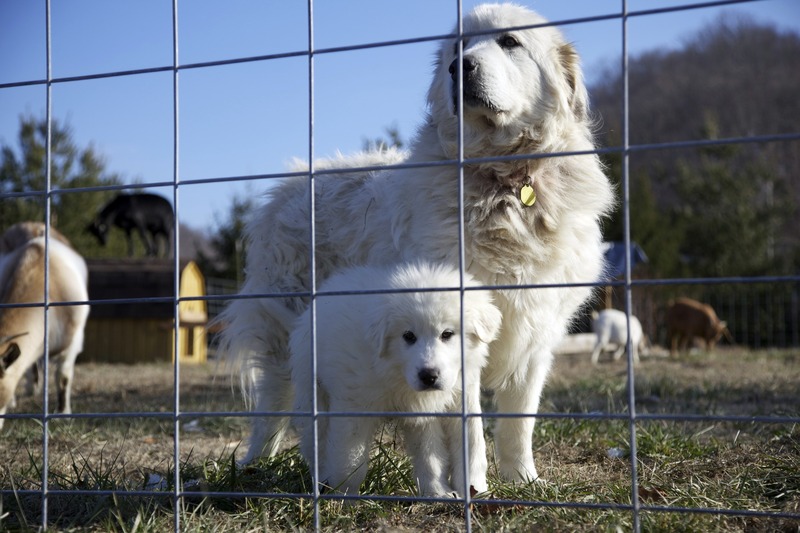 The budget for the fencing probably just took a big hit in order to pay our share of the medical bills. Frustrating, but I guess you’ve just got to stay flexible. In the meantime, I’ll just embrace the spirit of the season. I’m thankful that I have such an amazing family who spring to your support whenever you need it. I’m thankful that Lindsey and I get to follow a dream in such a wonderful place. We didn’t get to enjoy Thanksgiving on the 25th, but here’s some turkey pictures for you. 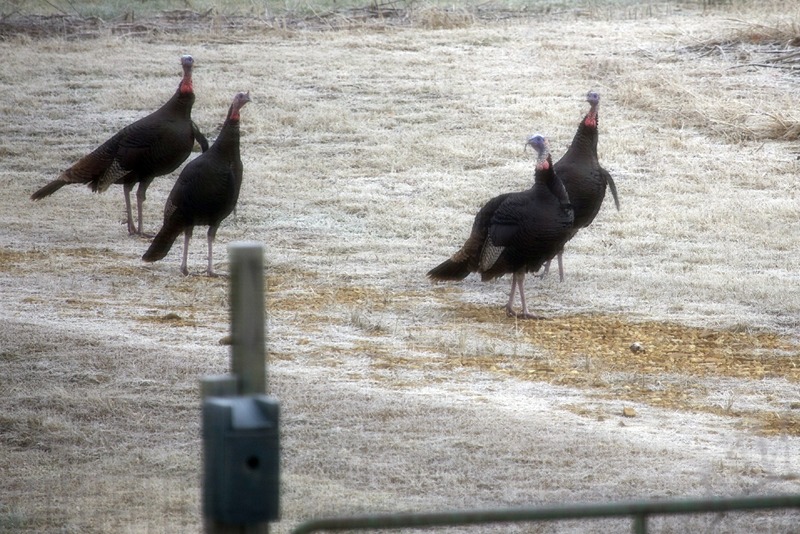 These wild turkeys went on walkabout around the house yesterday. 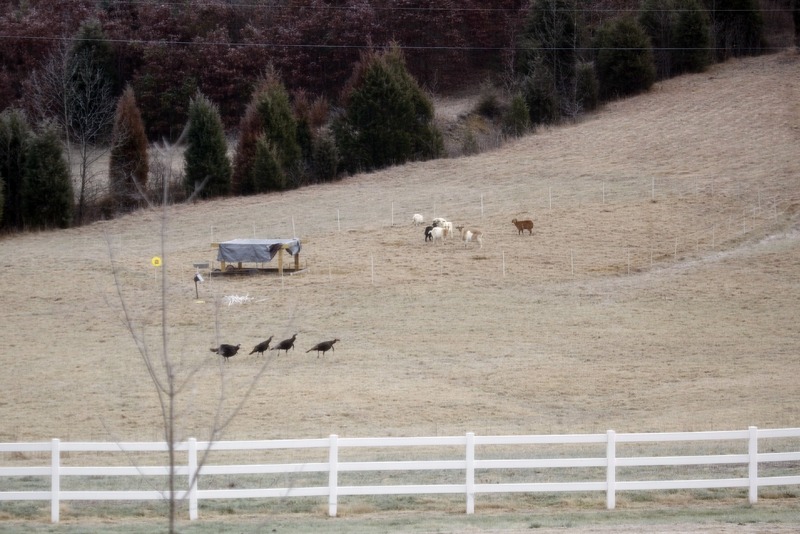 A quartet of wild turkeys appeared in the hillside field. 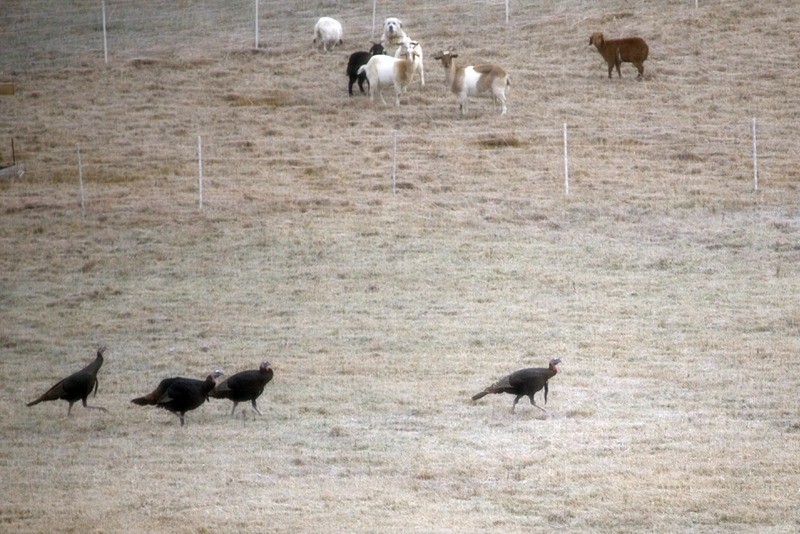 The goats are envious of the beards on the wild turkeys. The wild turkeys marched all the way up to the backyard. 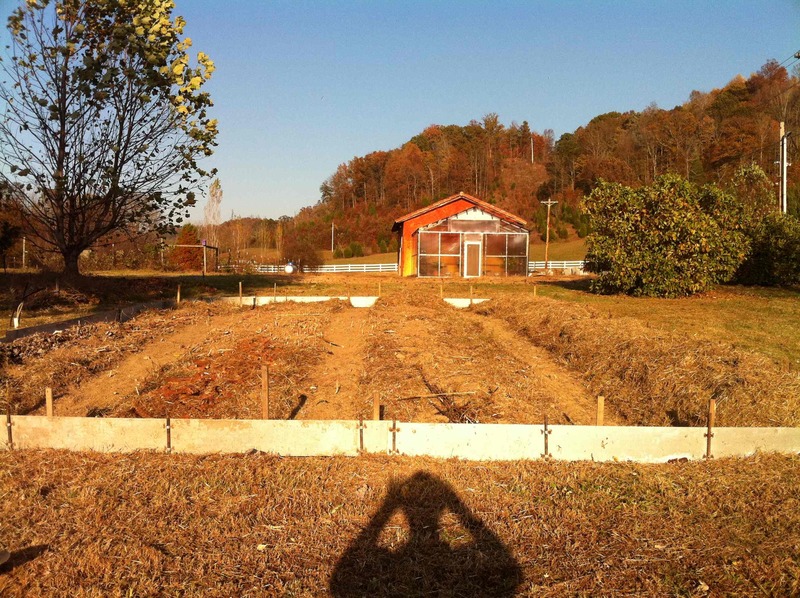 For the last 2 weeks my project has been renovating and recreating the fallowed gardens here at Good Life Ranch. It’s been a long process because of the amount we’ve let the gardens go over the spring (when we weren’t here yet) and the summer (when other items rose to the top of the priority list), the large size of the gardens, and the fact that I am doing all of this with hand clippers, shovels, and a wheelbarrow. Everything takes longer that way, but it doesn’t make sense to use more calories of energy in fossil fuels than we’ll reap from the vegetables in the garden now does it? This is the "garden" before clearing and beginning the raised beds. 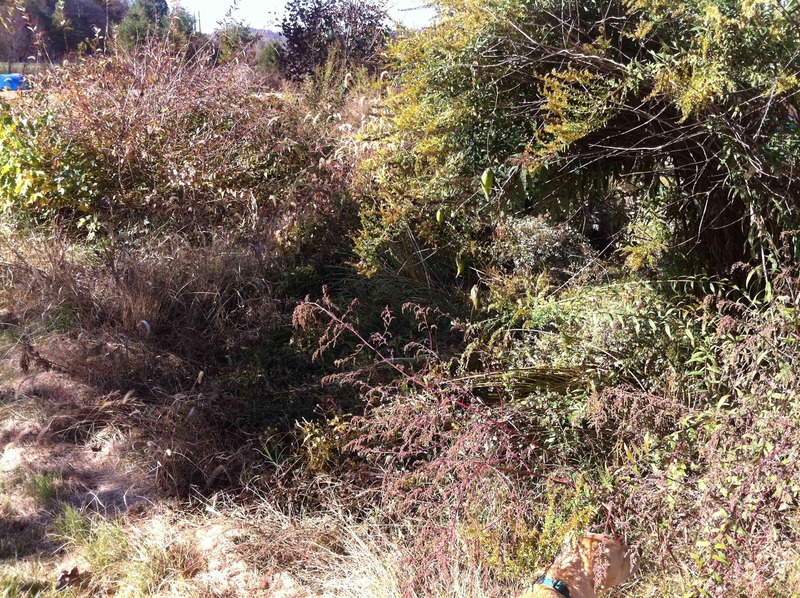 The picture above shows what we are starting off with – two large overgrown areas in which the previous owners grew flowers. Since they didn’t work it in the spring before they left and I haven’t really touched it since we’ve arrived these gardens have just grown up with some flowers, some weeds, and some pioneering bushes and saplings. For a sense of scale, check out Scooter’s head in the bottom right corner of the picture. Step one of the project involved clearing out all of this material and setting it aside for use in the raised beds. While I was cleaning out the two new areas I also cleared out the other two beds that we’ve let go as well. 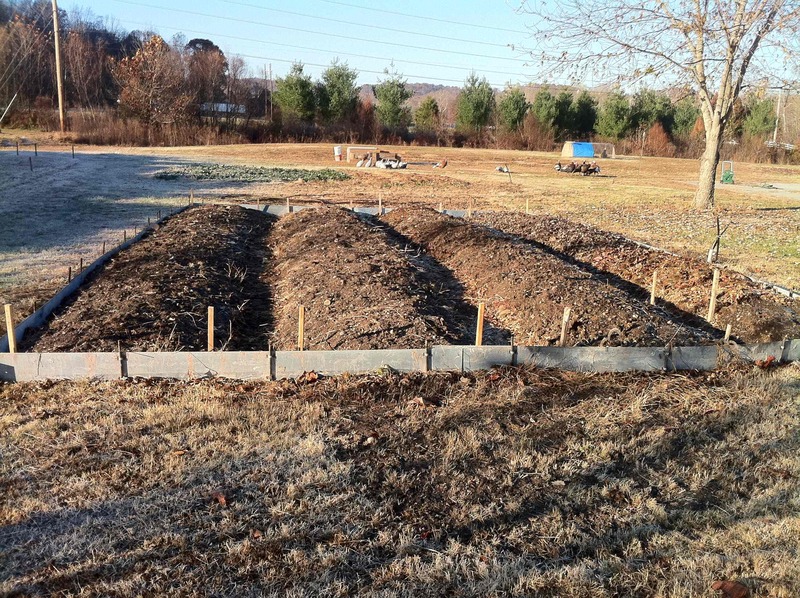 Those two beds will not be made into raised beds, but will be planted in the spring with perennial and self-seeding annual flowering and fruiting plants – like lilies, dogwoods, mayhaw bushes, blueberries, large ornamental grasses, and hollyhocks. But we did use all of the prunings from these gardens to help create the raised areas in the two new gardens. We don’t waste any organic materials here! Step one involved clearing out 4 large garden areas – 2 old flower gardens and 2 heavily overgrown former veggie gardens. After those areas were clear, I took stakes and a measuring tape and laid out the new boundaries for the raised beds. Each raised bed is 4 feet wide and will be elevated to knee-height on me. Between each 4 foot raised area is a 20-inch pathway. This way we will only have to reach 2 feet into the raised bed to plant, weed, mulch, and harvest. This means that we’ll never have to step on the beds and compact the soil. That’s key to maintaining the tilth and microbial action in the soil. The picture below shows the staked-out layout of one of the new garden areas. In this area the raised beds are about 30 feet in length. The other area has beds that are roughly 60 feet in length. 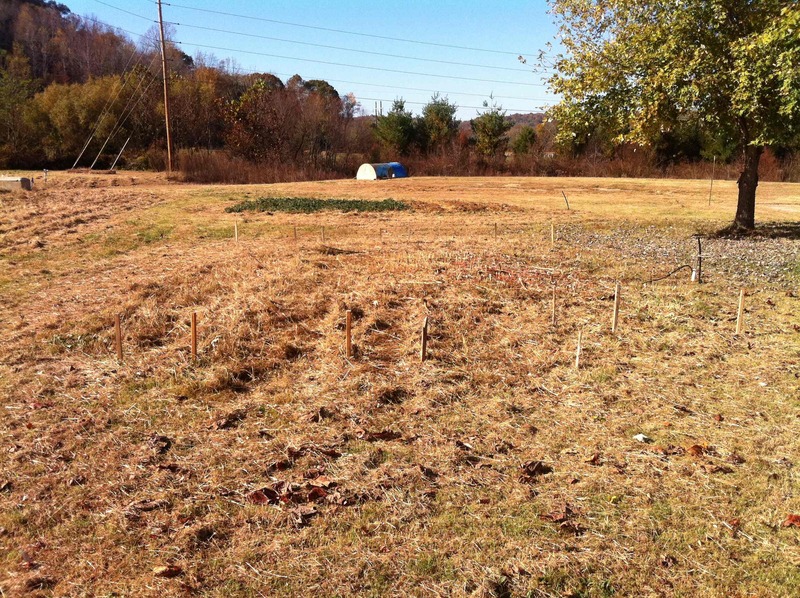 The area has been cleared and stakes have been driven to mark the dimensions and placement of the new beds. Note in the picture above that I left the grass underneath all of the previous overgrowth in place. We are about to smother it with organic matter anyway so it will be smothered and add to the big pile of decomposing stuff – no use tilling it up. All that tilling will disturb all the earthworms and microbial life we need at work for us to decompose all of the new material we’re going to give them to digest. They need to be at their best, not tilled up and driven off by the disturbance to the soil. So now that the beds are laid out, I took all of the trimmings from the four garden areas and piled them up to the height of my knee in the 4-foot-wide bed areas. These trimmings consisted of stems, leaves, branches – everything. The leaves and vegetative stuff will break down very quickly. The larger, woodier branches may take several years to decompose, and that’s great! They will provide long-term fertility as they release their nutrients very slowly; they will sop up water in the winter and spring and release it slowly in the drier summer and fall; and they will encourage the growth of beneficial insects, worms, and fungi that will help develop a good soil culture for our veggies. I didn’t do this much because we only had a few available, but tree stumps and cut trunks are one of the best materials to use as a base for your raised beds. We had a few laying around that I utilized, but most of the woody material I cleared out of the gardens was less than an inch in diameter. Hopefully what we lacked in diameter we more than made up for in volume! There was a LOT of it! The Germans call this method hugelkultur. Supposedly potatoes, squash, pumpkins, and beans absolutely go nuts for this stuff in the first year, and in successive years the soil becomes better and better for basically any type of plant you’d like to grow. The raised beds are built up with garden and tree prunings, but have yet to be capped with manure. The picture above shows the contrast in height between the beds on the right that have had the organic matter added the beds on the left that hadn’t yet been done at the time this picture was taken. Note the almost 2-foot height of the bed on the far right. This height is important to give the plant roots enough space to develop and to lessen the amount of time we’ll spend gardening on our knees. In this picture you can also see that the greenhouse is conveniently located near the new gardens. We won’t have too far to go to transplant seedlings when the weather warms up in the spring! After piling up the material I gathered from the overgrown gardens in the right spots I covered each row with a mixture of fallen leaves and composted rabbit bedding. Our rabbit hutches (for the breeder rabbits that aren’t out on pasture) have wire bottoms and the rabbit droppings fall through onto the ground. We throw some straw down on it every week or so and the poultry love to scratch through it looking for worms, grubs, fly larvae, and the scratch grains we put in to encourage this behavior. In the process the poultry mix up the straw and the rabbit manure and turn it into excellent compost. This mixture went in with the leaves on top of the branches and prunings. The next step was to cap these layers with a layer of composted and well-aged cow manure we got from our Amish neighbor David. He had dumped it in a big pile in a field at the request of the previous owners, but they never got around to using it. David’s forgotten how long it’s been sitting there, but at this point it is basically just rich, black, crumbly soil. No smell, no caking, and full of earthworms! This material was wheelbarrowed over to the new gardens and shoveled on top of the leaves and rabbit bedding to a depth of 2-3 inches. This will be the layer into which the seeds and transplants will be placed next spring. You can see what the garden looks like now in the picture below. The near-completed new garden. All that's left is to finish manuring the last row and to cover with leaves to protect the new soil. Now the only thing left to do is wait a couple days for some more leaves to fall. Once that happens I’ll cover this newest layer of aged cow manure with a layer of leaves to protect it from washing away in the rain and blowing away in the wind. When it’s time to plant in the spring we’ll brush the leaves away a little, plant the seed or transplant, and brush the leaves back into place. The first year, we’ll have to weed this garden just as much as any other. But in each successive year the amount of weeding necessary should decrease. 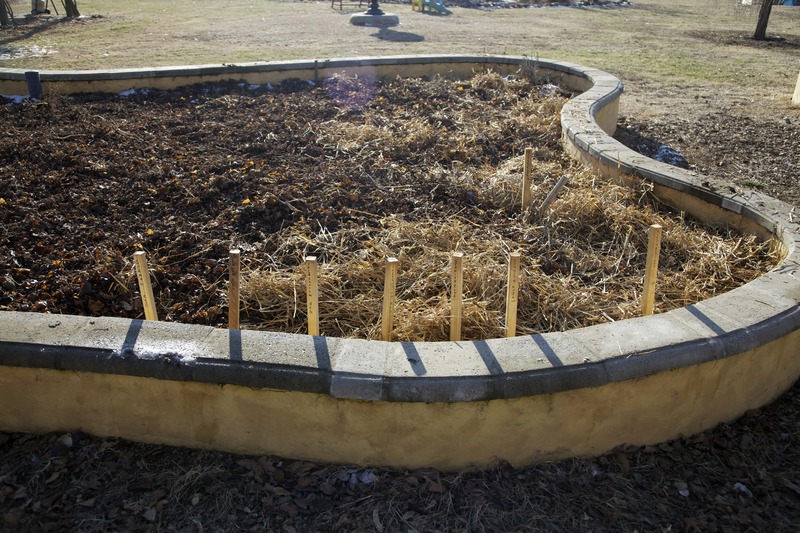 The weeds, along with the parts of vegetable plants that we don’t eat will be left in place as mulch to break down and return the nutrients to the soil. The roots of plants will be left to decompose in place as well. From this point on the only additional thing these gardens will need is the seasonal application of some mulch – which we’ll have plenty of in the form of grass clippings, fallen leaves, shed wool from sheep, etc. The result of these practices will be a garden that doesn’t need any inputs except weeding and mulching. Other practitioners of this method report that the fertility of their garden increases each year without the addition of synthetic or organic fertilizers. Mulching and leaving plant waste to decompose in place is enough. We’ve got the smaller of these two gardens completely done and the other, larger one is in progress. It’s warmed up enough now to make working on it pleasant, so I’m off to go do that. Have a great day, and thanks for reading! One of the things I was most excited about on our new property was the prospect of finishing the greenhouse that the previous owners had started. Being in a temperate region, we’ve definitely got some seasons here in Kentucky. We are located on the border of USDA Zone 6 and USDA Zone 5. For you non-plant people, that means that it gets kinda cold here in the winter and if we want to extend our growing season we’ll need a finished greenhouse. Completing this project means that we’ll be able to start seedlings earlier in the year and transplant them outside as the temperatures warm up. It means that we’ll be able to continue growing plants later in the fall and early winter. It means that we may be able to produce lettuce, spinach, chard, and such all year. It means that we can have our aquaponics set up. And it means that our lemon and lime trees won’t die. – it has an electrical box ready to be hooked up on one side. I’m not sure why the former owners stopped where they did. They had lovely gardens and obviously could’ve made use of a greenhouse. They bought all of the materials, made the sides, even welded the roof trusses together (but didn’t put them up). But they did buy all of the materials and sold them to us with the property. And they created a wonderful footprint for us to build on. A little about the construction materials. The sides, front, and roof of the greenhouse are made from 2″ x 4″ steel tubing. The panels called PolyGal and are made by a company in the UK. There is one storm door providing access to the greenhouse. The first problems we encountered were attaching the roof trusses and constructing a front to the building. I have not welded since Career Orientation class in high school. I’m pretty sure Lindsey has never welded. I’m also positive that we do not own welding equipment. Since I didn’t want our new greenhouse to fall down and since I’m loathe to operate machinery with the capacity to melt metal when I have scant understanding of how to use said machinery, we decided that hiring a welder would be a good idea. Around here, welders come in pairs. And they argue with each other. A lot. All day. And they attempt to get you to settle their disputes. Yay! But they were good welders and completed the job in one day for a few hundred dollars. I think that’s a pretty good price for an entire greenhouse, and I’m willing to not attempt it myself when I can watch someone who knows what they’re doing do the job right. The welders and I spent about 10 hours one day putting the roof trusses up, installing the roof beams, and putting a front on the building. They did a great job. Unfortunately, they couldn’t come back for free and help us put all of the panels on. That took a long time. Putting the plexiglass panels on the greenhouse was fairly straightforward. It was just time consuming. Especially the roof panels. Holding a roof panel straight and level, drilling the holes, changing bits, and screwing in the screws is hard to do with only 2 hands with 15-plus feet in the air. I was always tempted to use one hand to hold onto something. Silly me. Anyway, we got all of the roof panels on, installed all of the side panels, and then cut the pieces for the front of the building. With the building suitable enclosed in plexiglass, we set about installing the door. We found a storm door in the barn near the panels. If it wasn’t originally intended for greenhouse use, then it was co-opted. It’s on there now. We also put in a closer so that the door can be propped open on warm days to help ventilate the building. Next task in the greenhouse: putting in the trellis for our climbing beans and fruits and finding something to use for holding the fish we’ll get in the early spring.